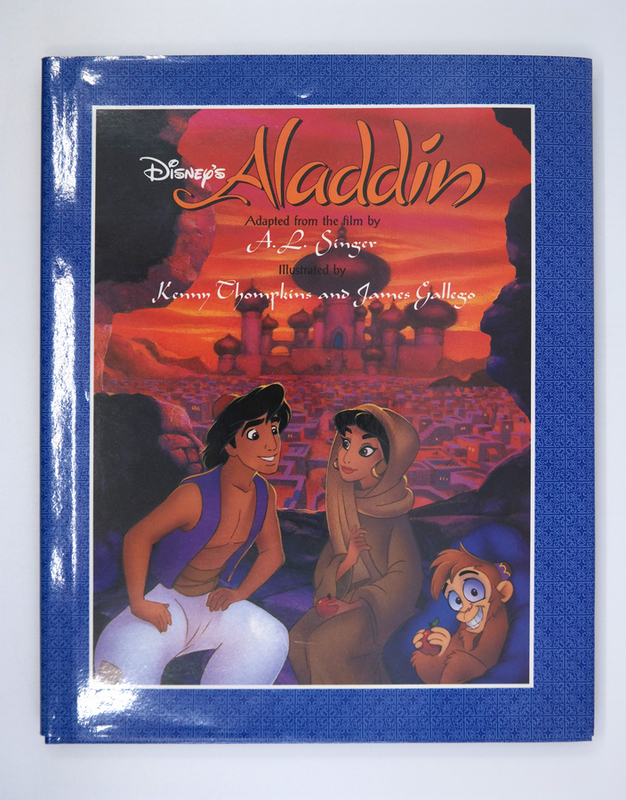 This book is a first edition copy of the illustrated novelization of Disney's Aladdin. 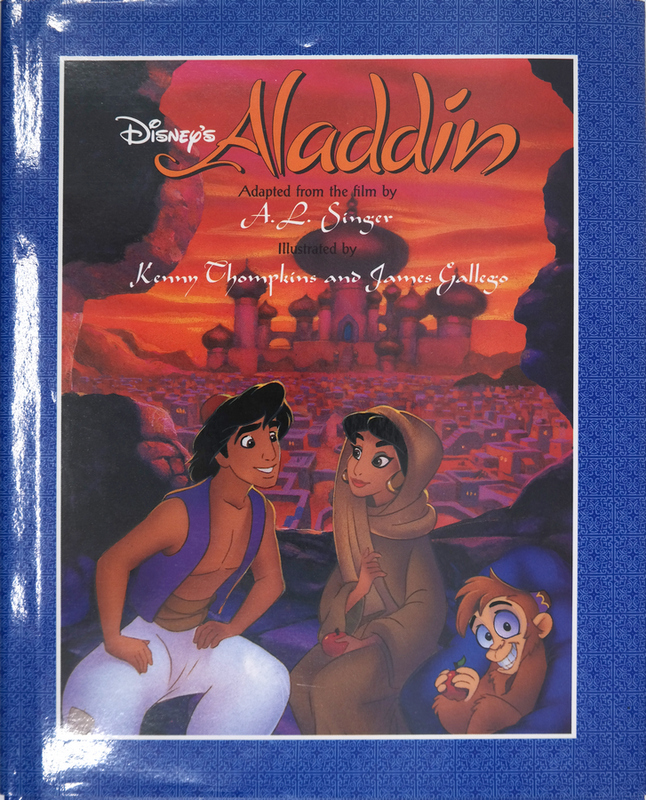 The book is adapted by A.L. 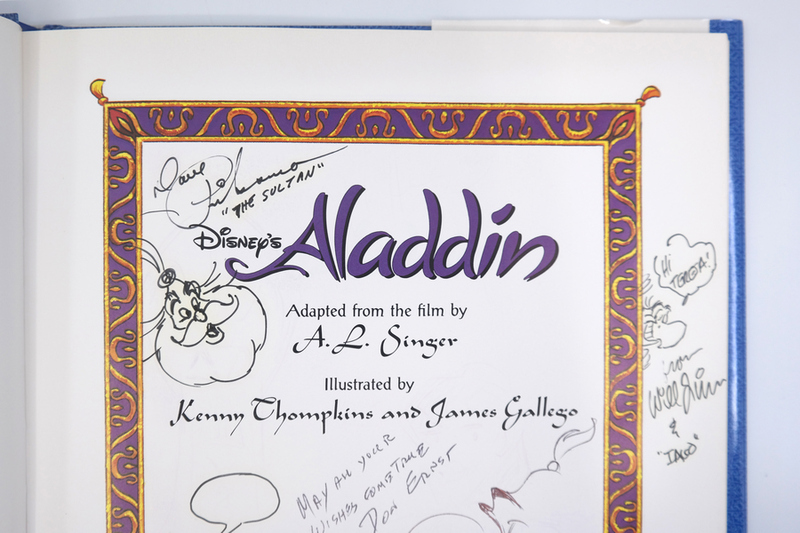 Singer with illustrations by Kenny Thompkins and James Gallego. 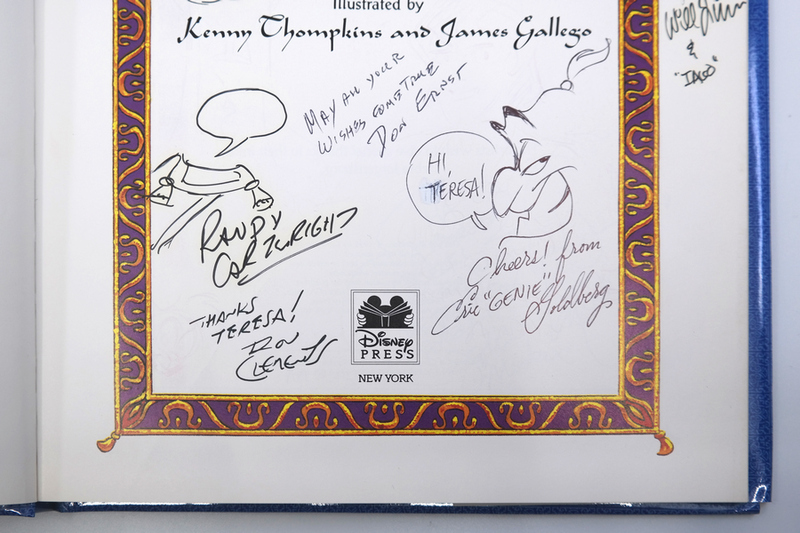 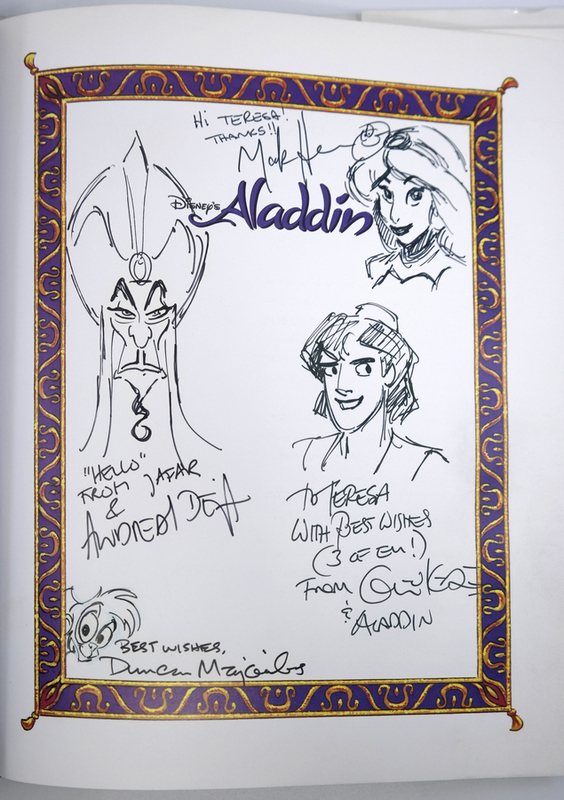 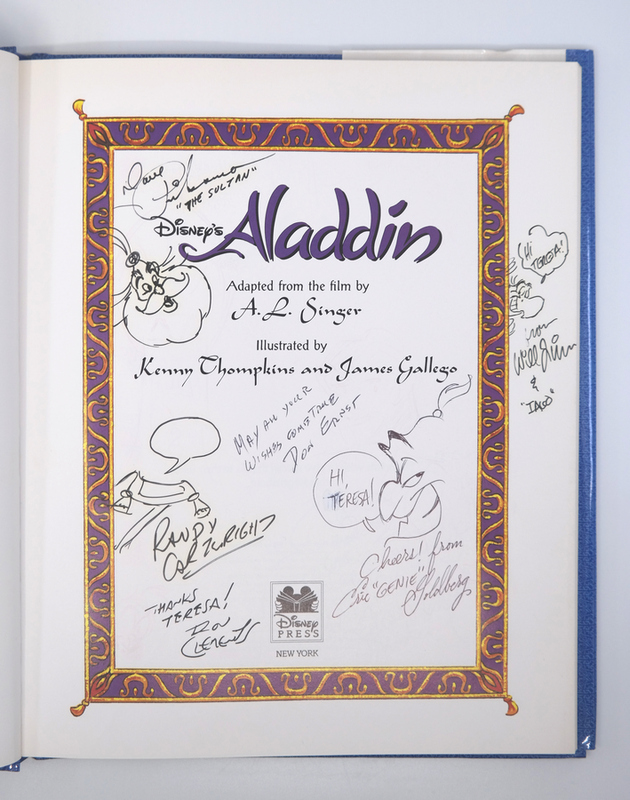 This particular copy is a splendid collector's piece as it was hand-signed by 11 of the films cast and crew, including animators David Pruiksma (the Sultan), Andreas Deja (Jafar), Randy Cartwright (Magic Carpet), Mark Henn (Jasmine), Eric Goldberg (Genie), Glen Keane (Aladdin), Duncan Marjoribanks (Abu), Will Finn (Iago), producer Don Ernst, director John Musker, and director Ron Clements. 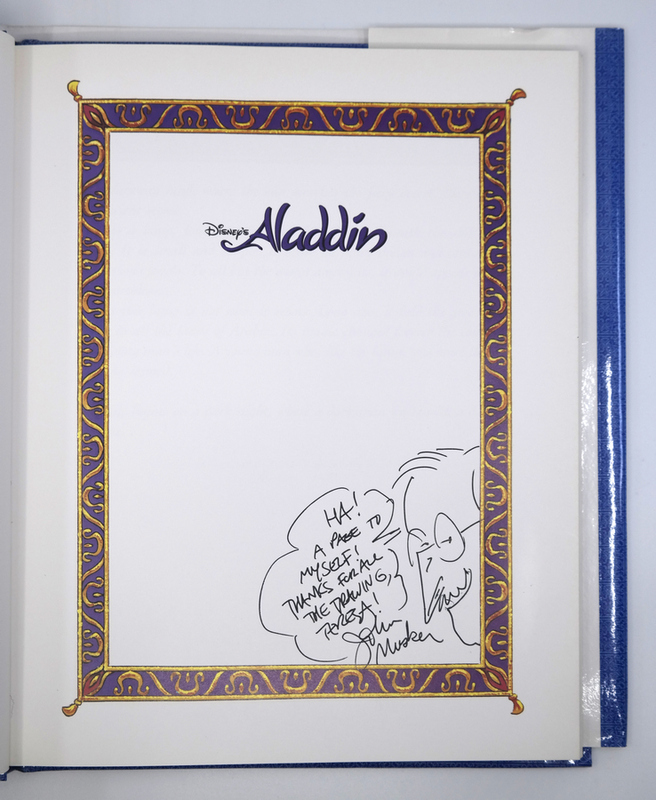 The book measures 10" x 8" and is in excellent condition.